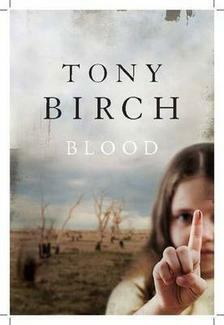 Blood, a debut novel by Tony Birch, has been shortlisted for the 2012 Miles Franklin Award. In the blurb at Fishpond, it’s described as ‘an epic moral fable, a gothic odyssey set on the back roads of Australia’. It’s the story of two kids, thirteen-year-old Jesse and his little sister Rachel, aged eight. They have the kind of mother they’d be better off without. Her name is Gwen. That’s not me, sitting in judgement. It’s Jesse, who narrates this story, who tells us so. Gwen’s life is a disaster, and her adolescent son has finally given up on her. She’s been on drugs and drink throughout his whole life, there’s been a succession of men but the relationships never last, and she makes endless promises that she never keeps. She has occasional dead-end jobs but they never have any money, and he’s learned not only not to have any qualms about skipping out on the rent, but also how to steal petrol, food from supermarkets and anything else they need. There’s no affection in these kids’ lives. They have no friends their own ages, no extended family to offer support except a pallid grandfather. They have no amusements except obsolete TVs scrounged from nature-strips: Gwen doesn’t even do Christmas. She’s always angry, and constantly bawls commands at the kids. Jesse has learned the hard way that for now, he has to just keep quiet, and do what she says. What Jesse craves is a quiet, routine sort of life. But apart from a transient episode when Gwen takes up with an ex-con called Jon, and a sojourn at his grandfather’s, he doesn’t get that. This is a bleak life indeed. So as far as Jesse is concerned, the only person Gwen cares about is herself. The bond that matters to him is the one he has with Rachel, and he’s been taking responsibility for her since she was born. In the chaos of their lives, school is only ever intermittent, and welfare authorities have little chance of catching up with them because they’re always on the move. On the one occasion when they did, he caused awful trouble for a foster-carer because they separated him from his sister. He is determined that they will always be together. Trouble looms as Gwen loses her looks, and the men that she attracts are violent, ruthless criminals. At the same time, Jesse becomes old enough to imagine a different future for himself, but not old enough to realise the risks involved in antagonising the kind of men his feckless mother has brought into their lives. Birch uses allusions from To Kill A Mockingbird to conjure scenes from the B/W film: Rachel is inspired to have courage like Scout’s; Jesse quickly suppresses his longing for a father like Atticus. But even for a moral fable, I found this book too black-and-white in conception, like many YA novels. The perspective is adolescent but there is no coming-of-age nor redemption. While the bad guys are stock characters who deserve what they get without a backward glance, Jesse’s view of his mother is hyper-critical: she has no redeeming features and there is only blame for the hardships that – in the overlong lead-up to the road journey – are laid on with a trowel. While some readers may find that the simple prose suits the age of the narrator and the bleak tone of the book, I found it lacking in the literary qualities that I look for in Miles Franklin nominations. This passage comes from a page selected at random: two savage dogs are circling their car. The dogs went quiet all of a sudden. I looked across the yard and saw an old man hobbling towards the car. He was dragging a leather whip behind him. His skin was black and his bare arms looked like charcoaled tree branches. When they didn’t move he threw his arm back and cracked the whip across the back of the dog at Gwen’s window. It jumped in the air and slammed itself against the car door. Rachel screamed and the dog circling the car took off from where it had come from, yelping in pain, like it had been whipped too. The old man gave the second dog a couple more cracks before it gave up. It dropped down from the car, looked at the old man and opened the side of its mouth and snarled. Yellow froth dripped from its cracked tongue. The old man raised the whip in the air to be sure the dog got a good look at it. 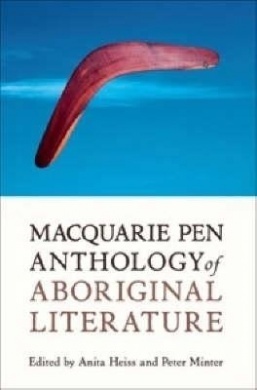 However, Tony Birch’s poetry and other writing excerpted in the Macquarie PEN Anthology of Aboriginal Literature is stunning, with striking imagery and a powerful emotional punch. Here’s an example, which shows that Birch’s plain style in Blood is an authorial choice. Beruk moves quietly through the canyons of the city – all is stone still now. He passes the winking lights – imitating life. He listens for machines grinding to failure. Beruk obseves his reflection in the flaws of glass, now inhabited by the petrified few. Jo Case reviewed Blood for Readings and found that it ‘delivers edge-of-your-seat suspense and engrossing characterisation in equal measures’, while Conrad Walters at the SMH thought that Birch ‘deftly balances the naiveté of youth and insights forged through hardship’. And obviously the Miles Franklin judges loved it! Want me to send it to you so you can see for yourself? It’s not a YA novel!!! If you found it had a YA sensibility, does that simply mean you found it immature or lacking in complexity or subtlety? But it is not published as YA. It was not written as YA. Stop calling it YA. Whoa, Cath, I didn’t say it was YA, I said it was like YA, which is not exactly the same thing. I didn’t categorise it as YA, I categorised it as a Thriller. I have no idea what Tony Birch’s intentions were when he wrote it, and I have no idea what shelves it’s placed on in libraries or bookshops. But I do think that young people would probably like it, perhaps identify with Jesse and find it exciting to read. I don’t say here (or anywhere else on this blog) that YA novels as a genre are immature or lacking in complexity or subtlety. What I find trying about YA novels is their preoccupation with self, and the problems of being an adolescent. But (as shown by, for example, My Brilliant Career by Miles Franklin, which wasn’t written as YA but is often categorised that way now, or The Anatomy of Wings by Karen Foxlee which gets categorised by the trade as YA but which is a sophisticated, perceptive book that adults would certainly enjoy too) YA novels can be interesting to read, complex and subtle. But the contemporary ones I’ve come across mostly haven’t been, and that’s put me off the genre. Hi. This is the first time I have done something like this (and it may be the last) but seeing as the question was speculated, I am Tony Birch, and when I was writing ‘Blood’ I had no thought about it being YA or OA (Old Age). Whether YA readers would enjoy the book, I’m not sure. My teenage daughters claimed that they enjoyed it, but then they rely on me to be fed. I won’t comment on the review, except to say my work is often referred to as ‘bleak’ – a label I’m happy to wear. My first book, ‘Shadowboxing’, was regarded as so ‘depressingly bleak’ by one reviewer that I offered to take her to Luna Park and give her a ride on the Scenic Railway, to cheer her up. The excerpt chosen ‘at random’ by Lisa Hill was well chosen – it is my favourite passage in the book. By the way, I like Lisa’s photo. She reminds me of a girl, Anne Dixon, from Catholic Ladies College, who I had a crush on when I was in primary school. I used to write love poems to her – ‘my heart sits with you on the North Balwyn tram’. I would like to cheer Lisa up (although she does look happy and content in the picture). If she wants to send me a postal address I will mail her two sherbet bombs – if the first one doesn’t make her all wizzy in the tummy and woozy in the legs, the second one will knock her out. If this is not enough generosity I promise to send her one of my happier stories – I’ve just finished one about a young man, an old man, a dog, a cat, and a rusting vw. It is titled ‘Lois’, and begins with the young man lamenting that his wife has abandoned him. Early in the story he attempts to poison a rat, and a refuses to befriend a stray cat. Now, I know that may sound bleakish, but I manage to turn the story around and make it freakish – ly – happy! As far as the MF is concerned, Tom Waterhouse is running a book on the event, and I think there could be good money made by betting on either Anna Funder or Gillian Mears. Both books are great reads and wonderfully written. But then, Favel Parrett’s debut is also superb. And Waterhouse is offering better odds on her. If you could get a trifecta out of him, these three writers would be my choice. I’m the outsider (starting odds at 9-1), so Lisa is onto something here. Don’t be deluded by greed, thinking you might be able to make a dollar out of me. This once happened to me personally, and the horse I bet on dropped dead in the home straight. Fortunately, this tragic event was put to good use, becoming the opening story, ‘The Last Time I Saw Cherry’, in my second book, Father’s Day. The book also contains a wonderful happy ending story – Gifted. It has such a happy ending that people sigh – ‘aaww’ – when it ends. I’m glad you said you didn’t write it for YA. If I had my way nobody would write YA. People would just write great books. Young people looking for a book would fossick around among the adult books the way I did and read all kinds of stuff (‘suitable’ and otherwise!) and be trusted to make their own judgements about what they like without well-meaning adults deciding what’s good for them. Well, Thank you Tony and Lisa. That was a fun read! *chuckle* my surname is much easier to play rhyme with!